The owner of the Fiskegaarden Hvalpsund promises on his website "great opportunities for a nice fishing experience for everyone. Whether you are a beginner or a more experienced angler." One of the lakes can be rented. 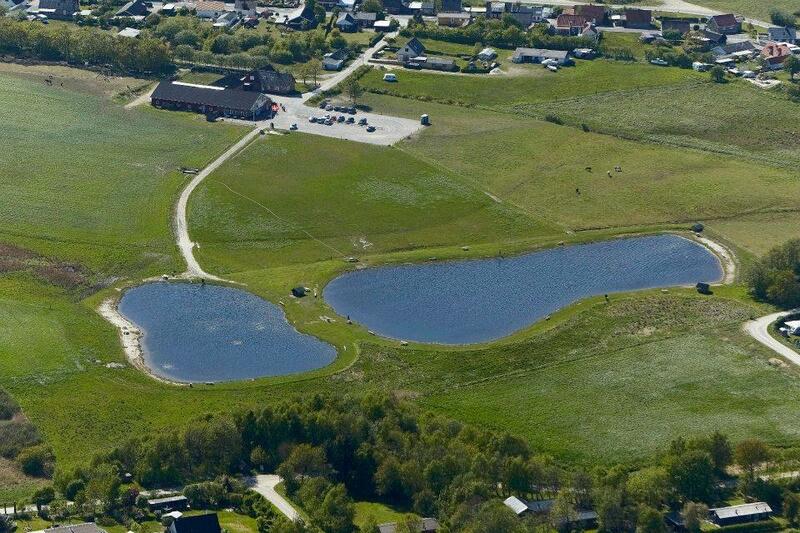 Fiskegaarden Hvalpsund has two fishing lakes, a large lak of 8,600 square meters and a smaller family lake of 4,500 square meters. In the family lake there is a catch limit, max one fish per hour. Fish: rainbow trout, river trout and brook trout. Fishing license: You can buy your fishing license in the store or at self-service, if the shop is closed. Opening hours: Open daily 07:00 a.m. to 09:00 p.m.